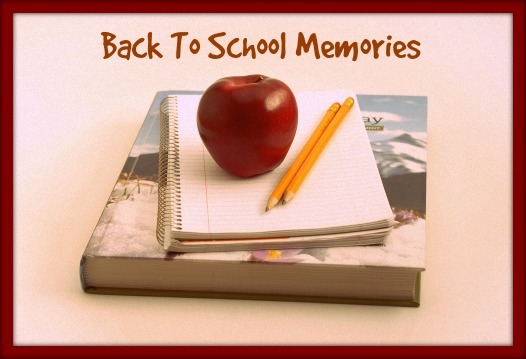 I have plenty of back to school memories , but often I didn’t go back to the same school at the start of the new term, thanks to my Dad being in the Army. Yes, in 11 years of schooling, went to 7 schools across 5 cities in India! The excitement, the enthusiasm, a little apprehension about a new teacher, new classmates, wondering how they’d take to the ‘new girl’ these are some of my memories. But for me the best part of starting a new school year, no matter where, was getting new books. Yes, text books and note books and having them neatly covered by my Mom. The smell of new books is something else! Apart from school books, it was always a pleasure to visit the school library and feast my eyes on the many books there – Enid Blyton’s Five Findouters and Famous Five and of course for us girls all those Mallory Tower books were so much fun. Then we moved on to Nancy Drew and by Class 7 I was lucky enough to be introduced to Jane Austen and the Bronte Sisters! With all the moving we did, it was hard to form lasting friendships in every school, so books became my best friends. So it’s no surprise that books are such a big part of my blogging. Here’s one I received and read recently. When Mastin Kipp found himself at rock bottom—addicted to drugs and parties, living in his ex-girlfriend’s parents’ tiny pool house, jobless, and with nowhere to go—he looked to the divine for help. What he found took him in an entirely new direction. He moved from a life filled with the excesses of Hollywood as a manager in the music industry, to one teaching about the power of self-acceptance and service. To spread the love beyond his personal circle, Mastin started his Twitter account, @TheDailyLove, which now has more than half a million followers, and his popular website, TheDailyLove.com, which features contributors from many walks of life— from Russell Simmons to Wayne Dyer. Now, Mastin has written a book based on his spiritual experiences to encourage other young seekers to discover their own paths. In Daily Love, Mastin shares some of his personal stories of darkness and light, embracing them all as part of his journey to becoming who he really is. He also speaks of various spiritual leaders who have influenced his life, such as Joseph Campbell, Caroline Myss, Tony Robbins, George Lucas, Oprah, his parents and Jenna (his girlfriend). Through detailed accounts of various spiritual principles introduced by these teachers, Mastin shares how his inspirations and mentors have helped to guide him to success and self-discovery. With the signature voice of TheDailyLove.com and Mastin’s youthful and engaging spirit, readers gain a new perspective on what it means to be spiritual for the next generation. Hosting Mastin on her weekly show Super Soul Sunday, Oprah dubbed him an “up and coming thought leader of the next generation of spiritual thinkers.” Both an honor and a mouthful. Mastin’s mission is to reconnect people with what makes them happy. Happy people make better choices, and better choices make for a better planet. Mastin completed the 200 hour Yogaworks teacher training in 2013 and is a certified yoga teacher. You can find The Daily Love on Facebook and Twitter. Go here to read why Mastin wrote the book. The book talks of Mastin’s personal journey from drug addiction and unemployment to self-discovery and success. It tell us how he created Daily Love and his becoming a teacher of self-acceptance. Mastin’s authentic style helps us relate to him and look more closely at our own daily struggles. I found this book interesting and would suggest it as a guide to those struggling to find their own spiritual core and rebuild their lives. Having read The Daily Love for sometime now, I was happy to see a book from Mastin and happier still to get a chance to read and review it! Thanks, NetGalley! Today I’m linking in to Day 2 of The SITS Girls Back to Blogging Challenge. You can find my Day 1 post here. I went to the same school for 12 years I cannot imagine changing schools so frequently. But it does make you resilient and flexible, I guess. Oh and the friendship with books – that’s a sure bonus.